If you don’t consume corn- on- the -cob or toasted soybeans, however, you are hardly exempt from the potential affects of consuming glyphosate. Wheat is now sprayed with Roundup right before it is harvested, making any consumption of non- organic wheat bread a sure source for the chemical. In addition, any products containing corn syrup, such as soft drinks, are also carrying a payload of glyphosate. According to studies cited by Seneff, glyphosate engages “gut bacteria” in a process known as the shikimate pathway. This enables the chemical to interfere with the biochemistry of bacteria in our GI tract, resulting in the depletion of essential amino acids . It is this ability to affect gut bacteria that Seneff claims is the link which allows the chemical to get on board and wreak further damage. The connection between intestinal flora and neurological functioning is an ongoing topic of research. According to a number of studies, glyphosate depletes the amino acids tyrosine, tryptophan, and phenylalanine, which can then contribute to obesity, depression, autism, inflammatory bowel disease, Alzheimer’s and Parkinson’s. The most comprehensive research to date on environmental glyphosate levels exposes the widespread contamination of soil and water in the US, as well as its water treatment system. Looking at a wide range of geographical locations, researchers from the US Geological Survey (USGS) analysed 3 732 water and sediment samples and 1 081 quality assurance samples collected between 2001 and 2010 from 38 states in the US and the District of Colombia. They found glyphosate in 39.4 % of samples (1 470 out of 3 732) and its metabolite AMPA (α-Amino-3-hydroxy-5-methyl-4-isoxazolepropionic acid) in 55 % of samples . Water samples included streams, groundwater, ditches and drains, large rivers, soil water, lakes, ponds and wetlands, precipitation, soil and sediment, and waste water treatment plants. These results are to be expected when the use of glyphosate has steadily increased in the US (and similarly in Canada) over the years, particularly since the introduction of genetically-modified crops tolerant to the herbicide. The rise of glyphosate-resistant weeds also means that farmers need to spray more chemicals than before in order to protect their crops (see  Monsanto Defeated by Roundup Resistant Weeds, SiS 53). Glyphosate accounted for 32-36% of all pesticide (insecticides, herbicides and fungicides) use in the US in 2007 according to EPA data . 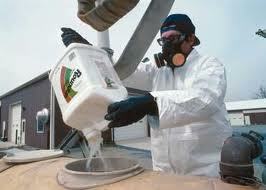 It is the top pesticide in agriculture and the second for home and garden and commercial settings. Agricultural use has gone up from 3 180 tonnes (of active ingredient) in 1987 to 82 800 tonnes in 2007. Non-agricultural use of the herbicide has also risen steadily in the US, from 2 270 tonnes in 1993 to 9 300 tonnes in 2007 (Figure 1). The common use of glyphosate in urban areas is also exacerbated by the impervious surfaces of cities, resulting in substantial pesticide inputs to urban drainage systems. Until recently data had been lacking on glyphosate occurrence in the environment, though studies published over the last couple of years are raising concerns. Detecting glyphosate in surface waters, rain and even groundwater, contradicts the producers’ claim that its chemical propensity to bind to sediment will prevent it from leaching into groundwater supplies (see  GM Crops and Water – A Recipe for Disaster, SiS 58). The study highlights the ubiquitous contamination of the environment with glyphosate herbicides at ever increasing levels. This herbicide is highly toxic to humans, farm animals, and wildlife, and at levels as low as 0.1 ppb; there is indeed a strong case for halting its use altogether (see  Ban GMOs Now, Special ISIS report). It is wonderful to be here with all of you. 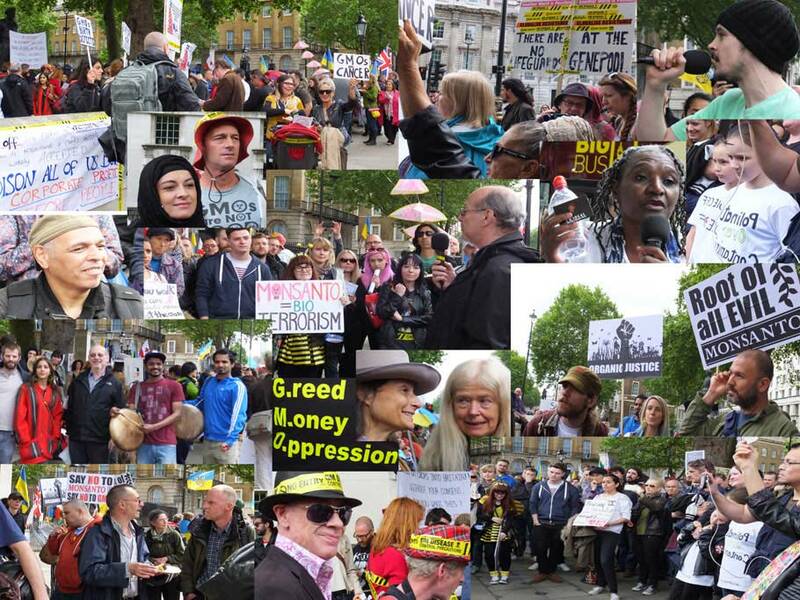 I have been marching against Monsanto for close to 20 years now since GM crops were commercialized and I first warned of the dangers of GMOs and Roundup herbicides. Unfortunately, all my predictions and more have come true. Over the years, farm workers and their families across the world have been seeing sharp rises in birth defects, cancers, allergies, lethal kidney disease and so on. Their livestock die, get diarrhoea, become sterile, cannot conceive, or give birth to dead and deformed animals. Scientists had to get through tremendous hurdles and obstructions to do the research, not just from Monsanto, but also from corrupt and/or misguided governments, including the UK. For years, practically the only research on safety of GMOs was carried out by the companies themselves, and their raw data are kept from the public as commercially sensitive information. 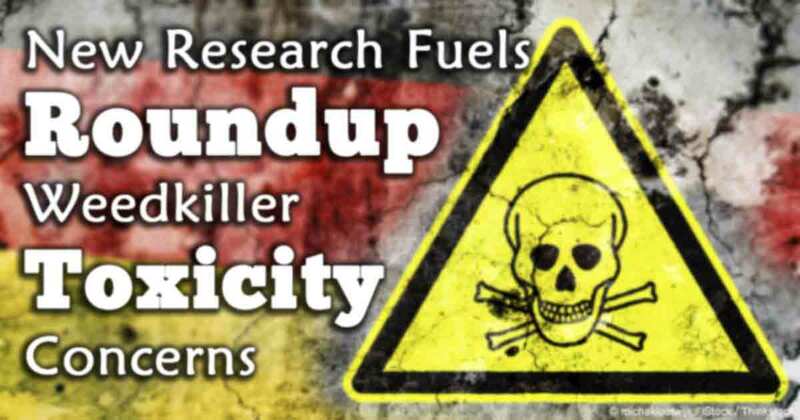 And its use – along with the rates of many of these diseases – has gone stratospheric over the last 15 years, with the approval of Monsanto’s GMO “Roundup Ready” crops specifically engineered to tolerate massive exposure to glyphosate. Roundup is now used all over the world on staple crops like wheat and soy, and has become the most widely used herbicide in the US. Despite these trends, the EPA and FDA still consider glyphosate to be relatively safe and harmless – based largely on unpublished, industry-produced studies. That position is looking increasingly dangerous, and possibly wrong. Tell the EPA and FDA: Immediately suspend the use of Monsanto’s Roundup until it can be proven safe. Click here to sign the petition. Sri Lanka is set to partially ban glyphosate-based herbicide use following a new peer-reviewed study linking it to a fatal chronic kidney disease epidemic badly affecting the country . Kidney problems have been further documented in other global regions, prompting an earlier complete ban by El Salvador late last year . A complete ban was initially proposed, but due to plantation sector representatives claiming a shortage of agricultural workers that would not sufficiently manage weeds without glyphosate, the government has now limited the ban to disease endemic areas . Even Brazil, one of the largest growers of glyphosate-tolerant genetically modified (GM) crops has now filed a law suit by Federal Prosecutors to ban glyphosate along with 8 other dangerous pesticides . It is becoming increasingly difficult for government regulators and glyphosate producers to justify the use of this herbicide when other nations are banning the chemical outright in order to protect their citizens. After trucking across the high plains for five hours, and casting my eyes over perhaps 100,000 acres or more of winter’s still deathly gray industrial farmland, I came face to face with the newly famous Dr. Don M. Huber in the cave-dark meeting room of the Black Horse Inn just outside the American Heartland village of Creighton, Nebraska. On the morning of March 24, along with about 80 farmers and Extension agents, I listened as Huber discoursed with erudition and eloquence upon industrial farming practices that may be impacting nearly every morsel of food produced on the planet, and that subsequently may also be having staggeringly serious health consequences for plants, animals, and human beings. 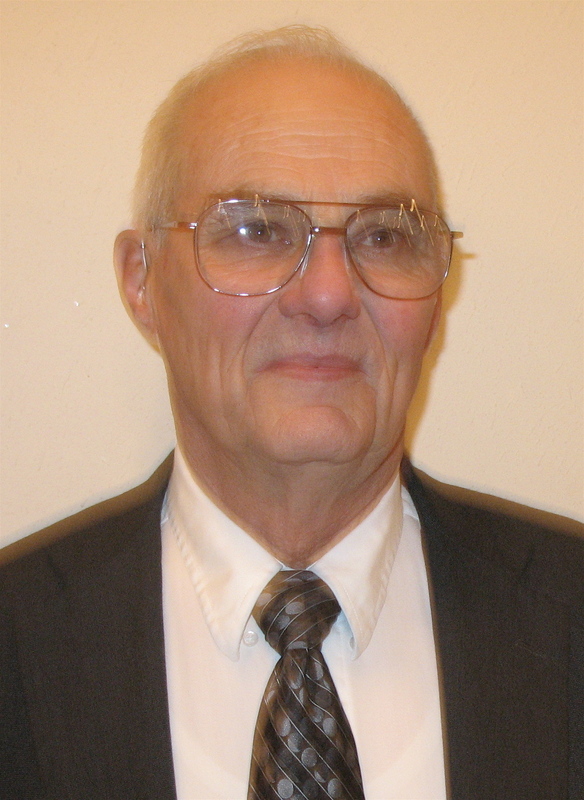 Huber is emeritus soil scientist of Purdue University, and a retired U.S. Army Colonel who served as an intelligence analyst, for 41 years, active and reserves. In Nebraska, he stood ramrod straight for three hours with no notes and spoke with an astonishing depth and range of knowledge on crucial, controversial matters of soil science, genetic engineering, and the profound impact of the widely used herbicide glyphosate upon soil and plants, and ultimately upon the health of animals and human beings. Dressed in a conservative dark suit and tie, Huber set the stage for his presentation by observing that he has been married for 52 years, and has 11 children, 36 grandchildren, and a great-grandchild on the way. He then began his formal talk framed by a PowerPoint slide bearing a Biblical quote: “All flesh is grass.” – Isaiah 4:6. With this he emphasized the foundational reality that the biotech grains we eat, as well as the biotech grains eaten by cows, hogs, and chickens, are grown in vast herbicide-treated fields. 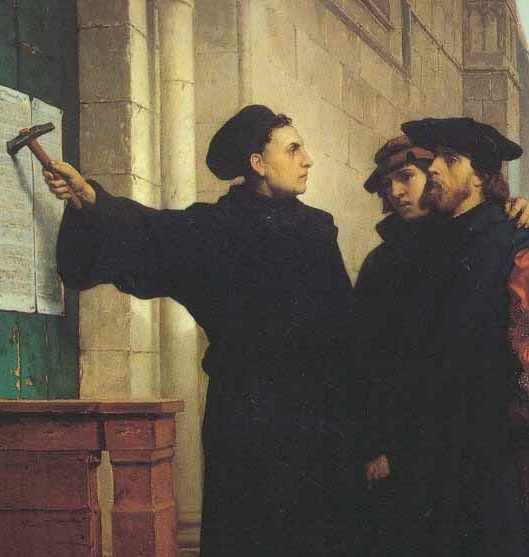 Martin Luther nails his theses to the church door. For the domineering giants of industrial agriculture — multinational corporations, universities, and governments — Huber’s assertions about the impact of glyphosate, and the mounting scientific questions about GMO crops, may be as significant and disrupting as Martin Luther’s “heretical” act in 1517. That’s when Luther nailed his 95 theses to the door of the Castle Church in Wittenberg, Germany to challenge the systemic problems in the almighty institutions of his era. Luther disputed the claim that spiritual forgiveness from sins could be legitimately sold for money. Huber and other researchers say they are accumulating evidence that — along with the 2010 report of the U.S. President’s Cancer panel which bluntly blames chemicals for the staggering prevalence of cancers — raises profoundly challenging questions about the chemical and genetic-engineering practices of industrial agriculture. The challenge, if it holds up, has implications not just for agricultural institutions, but also for the primary food chain serving the Earth’s population. Not an altogether new controversy, the complex matters of industrial agriculture, genetic engineering and the far-flung use of herbicides has been ominously and exponentially accentuated in the last year by virtue of its ominous context: last summer’s epic oil catastrophe in the Gulf of Mexico, the nation-ripping 9.0 earthquake in Japan earlier this month, with its subsequent tsunami and nuclear meltdown which is contaminating the nation’s water and food chain, in combination with the statistical reality that on our planet of nearly seven billion people, over a billion human beings — one of every six of us — is hungry. All of this was brought into prominent public focus — both sharp and fuzzy — in January of this year by the unlikely matter of alfalfa.